How to open the page "My messages"
Advice 1: How to open the page "My messages"
Communication on the Internet is carried out through the exchange of messages. To read a received or sent message you can by looking at the page "My messages". 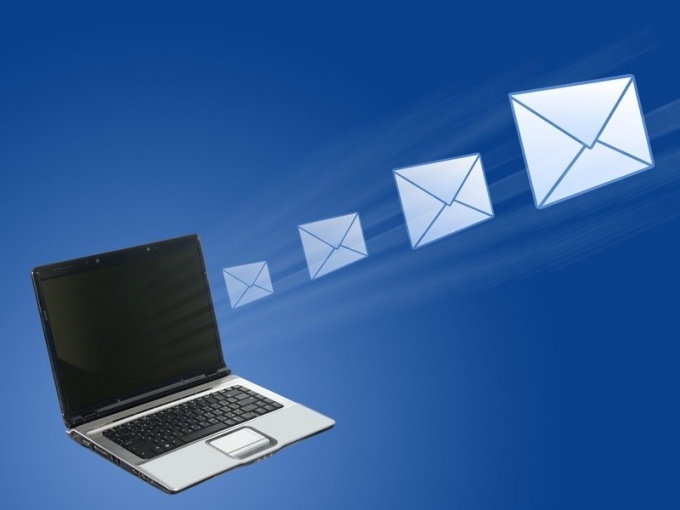 E-mail or register in a social network. In order to see correspondence with friends and colleagues on the Internet, you need to go to the page "My messages". If the letter came by email, look in your Inbox. To log on to the website, enter a username and password. Once on the message page, select the desired folder: "Received" or "Sent", "Trash" ("Trash") or "Spam". Click on the "name" of the recipient, the message which you want to read and go to the next page. Here the letter appears in full, and you will be able to perform the needed operation: to respond, delete or forward to another user the Internet connection. If the message came in the mail in the social network, the first step to reading is the entrance to the site. Also, as for email, you will need a password and login. Once on the main page, go to "Messages". Depending on the website name above the item may be slightly different. "Identification" sign on the mailbox, as a rule, is an icon depicting an envelope. Click on it and you will see a dialog box in which you have to select the user for further correspondence. In this section you can read the incoming message, write new message, forward the message to another recipient. To highlight and copy text, use the mouse buttons or keyboard keys: Ctrl + Ins (copy), Shift+ Ins (paste), Shift+ Del (cut). In addition, the number of sites in the letters supports adding and attaching a picture that can be sent with the outbound message. To read new messages in a social network, click on the envelop icon or the link "messages". New, unread, messages will be marked with numbers indicating the number of received shipments. The website "Vkontakte" allows users to communicate with each other through groups and meetings, and directly, through personal messages. Message history is kept and can later be viewed. The number of posted friends and the unread messages in a social network "Vkontakte" will be shown in the left part of your personal page next to "My messages". In order to read them, go to this section and select the dialogue. Please note that on the page "Dialogues" is specified, only the last sent message from each of friendsif you choose this option, you will see the whole history of correspondence. New unread messages are social networks a light blue background. This rule applies to both your messages and letters of the interlocutor. Ie until you've read a message sent to a friend in a standard way, on his page in the section "Dialogues" it is marked blue. If you want to read the message, but do not want the source found out about this, click "My messages", in the opened window search for your message, highlighted in blue. On it do not click, instead click on the name and surname of the interviewee listed next to his photograph. You will see his personal page. On this page, right under the photo, select "Send message" and click on it. Next, choose "go to dialogue with ..." (the name of the person) and read all of the correspondence, including the last new message. Then you can go again to your page, selecting the appropriate item on the left. If you did everything correctly, you are interested in the message will not change the light blue background to white, and next to "My messages" will indicate the number of unread messages as before. If you use cellular communication operators, MegaFon, Beeline, or MTS, you can view sent you to the page "Vkontakte" messages and answer them directly from your mobile phone, even if it is not configured with Internet access. To do this, connect the alert in "Settings" on your personal page: next to "Receive private messages from ...(username) via SMS" tick. To quickly reply to the message you want to send an SMS, starting with the numbers listed at the end of the received message. Before service use, learn about its value from an operator. Social network "Vkontakte" over the last few years has become one of the most popular. The number of users who visit this resource is more than 60 million people. To view your messages "Vkontakte", for a start log on to the website using your username and password. You will see a page where you will be located the main picture for your account right your personal information, under it is a map of photos and the wall, and to the left from the photos main menu, containing the following sections: "My page", "My friends", "My photos" "My videos", "My message", "My groups", "My music", "Applications", "My answers", "Settings". Press the left mouse button on the "My messages". You will see a list of all your conversations with different users. To see the correspondence with any particular person, enter the name and surname of the user in the search bar located at the top of the page, under "Dialogs". If you and this person conducted the interview, you'll find it. If correspondence was not, you will still pop up the dialog with the user, but the message history is empty. But you can rectify the situation and to write something to your buddy or friend. If you are interested not only in correspondence with one of your friends, but the conversation with him on a particular topic, but you can't seem to remember what day had this conversation, you can use the search on the history of messages. To do this, open the conversation with the user that you are interested in, in the upper right corner you will see a button "Actions". Hover your cursor over it. You will see the following inscription: "Add people", "Display content from the conversation", "Search history", "Show entire message history", "Clear all message history". Third, select the label and click on it. You will see a search bar in which you need to enter the word or phrase that is present in your dialogue during an important conversation. With its help, you will be able to see again the desired correspondence. If you click on the second label you can view photos, videos, music or documents exchanged between each other with this user. In addition, you can delete some of the messages, selecting them using the checkboxes to the right of the text, and then pressing the "Delete" button located at the top of the page. If you want to remove dialogue with a particular user, you will have to click on the words "Clear all message history".